Jared Unzipped: For One Day, I Was The Hot Sauce Champion. I've had a terrible ordeal with my sinuses today. There's enough pressure in my face to turn coal into diamonds. Even after a steamy shower, a glass of vinegar, three tablespoons of very hot Tabasco sauce, a clove of garlic and even a dose of Claritin, my head is still full of pressure and pain. It stinks. 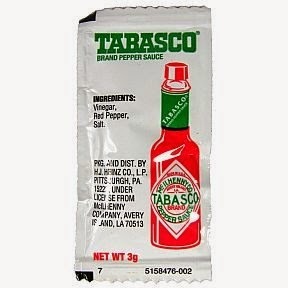 You know, it's funny... the Tabasco sauce reminded me of an old memory, which I will now share with you. ...but twenty-nine packets of hot sauce on a dare! Sure, looking back, it was probably a stupid thing to do, but who cares? We all did something idiotic in grade school. Consuming that much hot sauce in one sitting was as close to living on the edge as I probably got. Let's be honest -- I was a nerd. 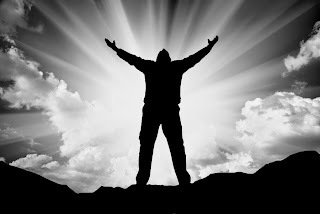 Yet, for one shining day, I had my moment in the sun. I was the guy no one else could beat. I was somebody special! It's a silly memory, I know. I can't enjoy hot sauce to this day without remembering my one moment of glory in grade school. All hail the mighty hot sauce champion!